Mormon Wookiee: #120: Part Two: Salt Lake Valley Regional Conference - 9/15/2013. #120: Part Two: Salt Lake Valley Regional Conference - 9/15/2013. 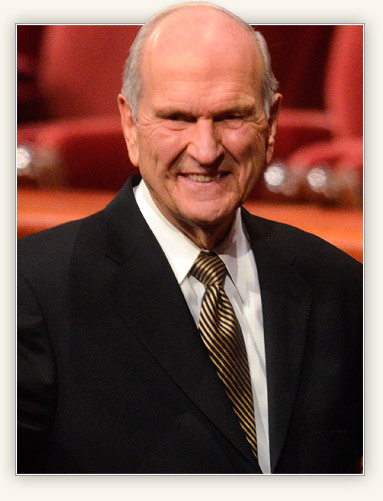 See below for a continuation of my last post, in which I gave my best attempt at recording the talks given by Elder L. Whitney Clayton and President Rosemary Wixom at the Salt Lake Valley Regional Conference on September 15, 2013. In this post, you will see my attempt to record the two concluding talks given at the Conference by Elder Russell M. Nelson and President Boyd K. Packer of the Quorum of the 12 Apostles. This are not official dictations of the talks, but I sure tried to type as quickly as I could. Hope this helps! Sister Nelson and I are very grateful to be with you on this special occasion. Meeting with 116 stakes in this part of Utah is a unique privilege for us. Most of you are gathered in local chapels. We express our love and gratitude to you. We are gratefully for Rosemary and for all who teach our precious children. We appreciate Elder Clayton's message. Those seven presidents of the Seventy carry a huge leadership load in the Church for which we are very grateful. 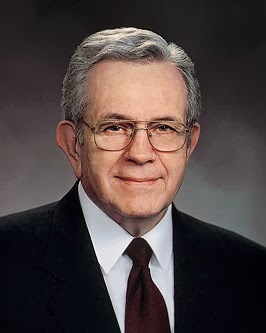 After I address you, we will hear from President Packer. Childhood polio weakened him and now affects his viability. But he gives much strength to the Church. He has inspired leadership and seership. He is such a competent and caring leader. Each one of you is part of the heart of the Church. I love a good strong heart (Elder Nelson is a retired heart surgeon). I know that a heart works better when its vessels and fibers work in unity. That is one lesson we can learn from the workings of the human heart. A large heart is needed to support a large body. Two months ago on June 30th, Elder D. Todd Christofferson created the 100th stake in the country of Peru, the fourth country in the world to have more than 100 stakes--along with the United States, Mexico, and Brazil. In June, I also created a stake in the country of Armenia--the 3,025th stake in the world. We saw some missionaries from Utah and thought of you with gratitude. There are now 3,033 stakes in the Church and three more will be created today. As the church continues to grow, it will bless the lives of more and more people throughout the world. Where do those resources come from? You, here in the heart of the Church. You bear much of the burden of its growth. President Packer and I are members of the "Council on the Disposition of the Tithes". Those tithing resources are used carefully and prayerfully. We are to go into all the world to preach the gospel to every creature. That means we need to rescue those among us who are not currently participating as actively as they ought to do. They need the blessings that will thereby come to them and their families. Long ago, my parents were among a generation that had let other priorities take higher precedence in their lives. I spoke about this last June at our worldwide missionary broadcast. I was concerned about the eternal welfare of my mother and father. I wrote a letter to their bishop, asking him if he could please invite someone to teach the gospel to them. I prayed that he could provide help. He replied, expressing sincere regret, that there was no one who could help him. The bishop's response crushed my hope. My parents didn't know about God's glorious gospel. Facet 1: The Godhead: They are separate and distinct beings, united in purpose to bring to pass the Father's great work of salvation. "For behold, this is my work and my glory÷to bring to pass the immortality and eternal life of man" (Moses 1:39). This most important objective undergirds everything else that we know, think, and do in this church. It is so logical and so natural. A loving Father wants his children to return home to Him. Any parent knows that feeling. Facet 2: Plan of Salvation: God's plan for his children has a variety of names--salvation, happiness, redemption, mercy. By any of those names, it is all the same plan. It includes the creation, the Fall, the Atonement, resurrection, judgment, all of God's commandments, and our agency to obey them or not. It allows us to endure faithfully to the end and includes eventual exaltation which is the joyous privilege of eternal life--to dwell in the presence of God, our Savior, and our families forever. Facet 3: The Atonement. :The atonement of Jesus Christ is the central act of all human history. The atonement was uniquely his mission in mortality. It enabled both immortality and eternal life--the ultimate objectives of God the father--to become reality. Facet 4: Dispensation, Apostasy, and Restoration: All previous dispensations were limited in time because each ended in apostasy and were limited in location to a small area of earth. This dispensation will not end in apostasy and will fill the entire earth. The Church is here to gather scattered Israel, seal the families of Israel, and to help prepare the people for the future coming of The Lord. Facet 5: Prophets and Revelation: A prophet is one called of God to speak for Him. Throughout history, prophets have taught of Jesus Christ and his doctrine. For each worthy member, revelation comes through the Holy Ghost for one's personal revelation. Scriptures are revelation given to prophets. I have seen the original manuscripts of the Book of Mormon. Rarely are there editorial marks or corrections. We know that future revelation will come from God. Facet 6: Priesthood and Priesthood keys: The priesthood is the authority and power that God has granted to men to act for Him. Adam held the priesthood, as given to him by God. There are two orders of the priesthood--the Melchizedek and Aaronic, each with their own keys and quorums. Heavenly messengers restored these keys so that ordinances of exaltation and salvation could be performed with the proper authority. Facet 7: Ordinances and covenants: An ordinance is a sacred formal act of spiritual significance, accompanied by covenants between God and a person. Those of salvation pertain to an individual. Those of exaltation pertain to families (particularly, by being sealed in the temple). Facet 8: Marriage and family: Marriage is ordained of God. Family is central to his plan of salvation and happiness. A man's highest responsibility is to love and care for his wife. Tell your dear wife that you love her each day. She is most precious to you here and hereafter. God's plan allows for families throughout eternity. That's why we have temples. Facet 9: Commandments: They are given from God to man to protect and bless his children. We show our love of God by obeying his commandments. There are many commandments--the two great commandments, the Ten Commandments given to Moses, and others that include fasting, prayer, tithing, chastity, caring for those in need, and more. We are invited--even commanded--to emulate the Savior in all we think and do. I have just highlighted nine facets of our diamond of doctrine. I apologize if I have given you a heavy load of doctrine. But if you know it and live by it you won't be burdened by guilt or bothered by daily decisions. Ig you ale yoked to the Lord, you will have the faith to handle every challenge you faith in life. I hope that you will love the Lord and yoke yourselves to Him. Be one of his true disciples. "Come unto me, all ye that labour and are heavy laden, and I will give you rest.Take my yoke upon you, and learn of me; for I am meek and lowly in heart, and ye shall find rest unto your souls. For my yoke is easy, and my burden is light" (Matthew 11:28-30). I hope you will learn of The Lord and his doctrine. You will learn it best by teaching it--teach your families and friends. As you rescue your loved ones, my love and prayer will be with you. I pray that you may heed the words of President Packer. I sustain him as the president of the Quorum of the 12 Apostles. Christ lives and this is his true Church. He lives. I say these things in the name of Jesus Christ. Amen. A few years ago, I remember when we, as members of the Quorum of the 12, went to a stake conference and went alone. We held a stake conference every weekend and were able to get around the whole church. But it would take me 17 years to do that cycle now. I learned something along the way--by that time the number of stakes had doubled, and I would never get back to a stake that I had previously been to. In England, I had the privilege of calling a stake president and then releasing him 10 years later. That was the only time that had happened--a Brother Johnson. When he gave his last talk, he said, "Some nice things have been said about me. That I was faithful and good and served well. I think, generally, that's true. I didn't serve well because I was experienced. I served well because I was called. I can fulfill a calling as a home teacher as I can as a stake president." We then called him as a general authority. The pioneers had the easy days. From now on it's going to be different and rougher. In many ways, their part was easier than our part is going to be. I have a sermon prepared for you. This particular sermon changed my life when I was a young seminary teacher. I went to a meeting with a number of other teachers in the area. Elder Antoine R. Ivins of the Quorum of the Seventy was the visiting general authority. Years earlier, his father became a member of the first presidency (Anthony W. Ivins). When he came to visit, Elder Ivins was as old then as I am now (that's pretty old!). I asked him a question. He was sitting on the table in the ward's Relief Society room. I told him about a student in my class, and I thought sometimes that the student made his best contribution when he didn't come. When he started school in the first grade, knew his name was "Johnny, Stop!" And that's all I know. I asked him, "When was it justified to be done? When can I in good faith just get rid of him and get him out of the class?" He sat on the table and swung his feet. He said, "What if he was your boy? Your son?" That changed my life--as a teacher, as a father, and I began to learn a bit of the gospel. I want to talk to you this morning about you. Part of this will be private--only you can answer the question. When I go in the mission field and teach missionaries, I ask what does the word "father" mean in terms of Father in Heaven? Do you know what father means? You don't know! You may learn someday, but you don't know it yet. You know the dictionary definition. I told them that if they had a doctor come out of a delivery room saying that I don't think we are going to keep this one, you will learn a little more about what a being father is like. That's when you finally begin to learn what the word father means. It's a tough world we live in now, but you (half a million of you if you're all at church) who we used to see in small groups, we don't see you now. Not long ago, every stake president had shaken hands with a member of the 12 that year. But as the church grew, we knew we would never get back to those we had talked to before. You don't get to go back in life. The word father--you know what it means. The Savior told us to "Pray unto the Father always in my name" (3 Nephi 18:19). "Philip saith unto him, Lord, shew us the Father, and it sufficeth us. Jesus saith unto him, Have I been so long time with you, and yet hast thou not known me, Philip? he that hath seen me hath seen the Father; and how sayest thou then, Shew us the Father?" (John 14:8-9). We have that same relationship with our Heavenly Father. He will always answer. An old preacher said, "The Lord is holding for you and Satan is holding against you, but it's your vote that counts." It's up to you--up to what you choose to make of yourself. The devil can't make you do anything. As a son or daughter of God, you have a certain sovereignty that gives you power over the adversary, if you only knew it. Moses knew it. He said to Satan, "Who art thou? For behold, I am a son of God, in the similitude of his Only Begotten; and where is thy glory, that I should worship thee?" (Moses 1:13). The adversary has his limits, and he can only do what we let him do. We can be beguiled and fooled or just foolish and give him charge in our lives, but in the final analysis you are in charge of him as to how it relates to your life. He has been around for a long time. Madalyn Murray O'Hair was an athiest who preached all over the country, doing all kind of harm. A reporter said, "Between God and Mrs. Murray a battle rages, but it isn't fair considering their ages." She died a tragic end. When I say the pioneers had the easy part, the problem with us today is that we are being confronted at all times by that which is sponsored by the adversary. We need to pattern our life to leave him out of our consciousness. It is not an easy thing to get hold of yourself and to gain enough self control to avoid the very thought of evil. How do you control your thoughts? We've talked about inspiration. We know that a 3rd of the hosts of heaven were cast out. We know that angels exists and that they "speak by the power of the Holy Ghost" (2 Nephi 32:3). The fact is that there are also angels of the adversary who follow us around and try to use the same channels. How can you keep that channel open to the right source and righteous thoughts? In the Church we have a lot going on, sometimes we have too much going on. It is possible to go to church year after year and never really find the gospel. We must remember that we are children of God. That question from Elder Ivins, "What if he were your son?" led me to realize that I am God's son. I have the obligation to live worthy of that fatherhood. You are in charge of your mind, but sometimes it is very difficult to change your mind. How can you break that circuit? First, you must want to. Second, you must want to know how. Adam and Eve were given the commandment to multiply and replenish the earth and then they were given agency. If all the doctrine were in boxes, I would find the one called agency and put it first. Free agency is never mentioned in the scriptures. Moral agency is mentioned once. I would put that one first. "Know then that ev'ry soul is free, to choose his life and what he'll be; for this eternal truth is given, that God will force no man to heaven" ("Know Then That Every Man is Free", Elias Smith). If you wonder who is in charge, in the final sense, you are. Confess to the Lord that you want to do it his way and that you want to be obedient. Tell Him that you will be obedient at every turn. Obedience is hard for youth. When we go about to try to manage the Church which is now so big, we have tried to tell ourselves to not be too entrenched with the scoreboard. We get used to counting things--how many meetings, etc. The things that matter most cannot be counted. You cannot quantify or control them. When we find ourselves failing, there is always someone there to lift us up. The Lord gave the supernal gift of the priesthood and the related ordinances. Angels will be about you to lift you up and inspire you if you learn to hold to the Spirit. We've joined the Church? What do we do? All you have to do is follow the Spirit. To try to sort that out in this life is not an easy thing and it may take a lifetime of practice. The things that we are taught to do and taught not to do in this Church are to help us to recognize the influence of the Spirit. No member can make a major mistake without being told or alerted by the Spirit not to do it. You will say to yourself, "I know I shouldn't have done that!" Well, why did you do it? Or maybe it's the other way around and you pass up an opportunity. One of our boys, when he was about four--I was taking him to bed. He didn't want to go to bed and said, "You're not in charge of me." That was time for a father to son chat. I explained that I was in charge of him, but the day would come when I wouldn't be. He would have to be in charge of himself. We must learn to heed the Spirit and turn away when the things that we are doing prevent us from having the Spirit. Ask your Heavenly Father to help you. The things we do--the Word of Wisdom--when that came, it brought marvelous blessings. The basic things are not the end of it--any thing that is habit forming or addictive should be avoided. Now that we have a church of 14 million people, we largely don't worry about the drug society, because those usually begin through tea, coffee, liquor, and tobacco. To think that we are a clean people is a marvelous blessing. We look clean. When I was in the Air Force, we rode on a crowded bus. A middle aged woman kept staring at me. I don't like to be stared at. It made me nervous. Finally, she said, You look so clean." Well, I could have said, "Well, I hope so. I took a shower." I knew that wasn't what she meant. It is easy to pick out a Latter-day Saint because they look clean. Once while in Mexico, I visited a group of Latter-Day Saints. Many of them didn't have shoes on, they were peasants in Mexico, but they were clean. That's part of who we are. If we live for it and live by it, then that's the pattern of our exaltation. Are you so touchy that you can't be corrected? Most people don't like to be corrected. One of the members of the Seventy couldn't handle correction. I told him, "You've got to get over that and be able to handle discipline and correction from wherever it comes--even from your children and certainly from your wife." The sternest words I know are "Now, Boyd". :) She is perfect. She says she's not, but I know she is. That's gospel truth that I'm teaching here. That's the pattern of marriage where you can help one another. If you teach by the Spirit, the power of the Holy Ghost carries it to the hearts that listen. That's the challenge I try to operate in. When you read the New Testament, The Lord often answered with another question. I like everyone generally, but I've made a few exceptions in my life. :) Donna (President Packer's wife) and I were on a train to Munich, Germany, where we had just organized a stake. We had an appointment the next day. Barry Fisher, one of the Medal of Honor winners in Vietnam, had a car there. We went past the prison where Hitler had written "Mein Kamph". In one of the buildings we met, Hitler had lived in the building that used to be there. Well, now the wheel has turned. We organized a stake in that room. Brother Fisher took us down the mountain to catch a plane. We couldn't find anyone who spoke English. We were in the airport for all hours and they said that the plane may or may not fly later. When it got late, here suddenly appeared two angel missionaries. They said, "We thought you might be here and we wanted to know if we could give you any help." They were literally a Godsend. By that prompting, they had come to rescue us. They told us, "You need to take the midnight train." They drove us. We went to the mission home. Donna looked through the cupboard and made a quick meal. We were very tired but anxious to be on our way. We will be protected and guided and the Father will be looking out for us. We pray always in the name of the Lord. When you come to learn what the word father really means, you will truly learn what you are to do. Never forget that you have a Father in Heaven and that you can call upon Him in the name of Christ. He will not leave you comfortless. The easy times are in the past. Now we have the difficult times, but we are not being left without strength and power. We have a Father who will guide us and correct us, sometimes painfully. But He will guide us. Christ really presides over this Church. In the name of Jesus Christ. Amen. Thank you for capturing these inspiring talks, my husband and I were out of town and I was so sad that we had missed this conference. Now I feel satisfied that I was able to glean a few of their words.